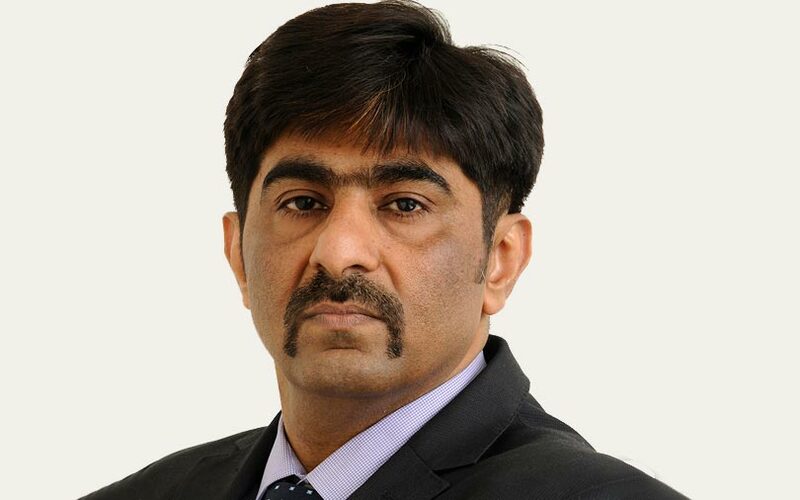 Anup Purohit, chief information officer at YES Bank. Banks all over the world are in a frenzy to latch on to the newest technologies more than any other sector. Processing loans faster or personalising offerings with the help of artificial intelligence (AI) to suit customer needs is their top priority. Most banks globally have been active adopters of blockchain to increase the security of transactions and to prevent financial fraud. Banks are increasingly automating customer service with bots. Also, can you now deploy bots for customer acquisitions, too? Will that bring down your cost of customer acquisition? We developed the YES M-Power Bot. It is an interactive, easy-to-use chatbot that gives an instant-loan offering to customers from anywhere, anytime. According to our knowledge, it is a global-first chatbot in the retail lending space. The bot is hosted on several platforms to ensure uniform communication on loan offers to customers across touchpoints such as Facebook Messenger, mobile banking and our website. It is adept at conversing with the customer and can act as an adviser. To enable financial transactions and other services using a bot was done for the first time. What kind of Robotic Process Automation (RPA) and Optical Character Recognition (OCR)-like technologies are being run in the backend to make these operations faster? Our (RPA) platform uses a solution we developed with Automation Edge, and for the OCR capabilities, we are using a product from NUANCE. Currently, five to seven key high volume/repetitive processes are being automated, like salary processing for corporate clients. This has helped us with significant manpower and time saving, from four hours to eight minutes. How are you using Big Data/analytics to aim products at certain customers? Are there newer ways to aim offers, loans or credit at customers or for acquiring new clients? A product that has gained momentum is YES Insta -- a simple SMS-based credit-decision tool to instantly inform the sales executive to reject or accept a customer’s application based on basic details sent via SMS. A machine analyses the customer’s profile immediately and can respond with the decision to the sales executive. This saves not just humungous amounts of paper work but also reduces time significantly. We are migrating our data in a Hadoop system from multiple business verticals for better structure and standardisation. We are also in the process of developing an omni-channel initiative to process the same information across multiple platforms at the same time. Are you working with other payment or fin-tech companies to try new modes of payment? Yes. We are working with various startups in the NFC (near-field communication) and sound-based payment segments like ToneTag and UltraCash. Our fin-tech accelerator works with startups across the globe by enabling co-creation of innovative solutions for our customers. For instance, we launched YES SIMsePAY, in collaboration with our technology service provider Taisys. It is a SIM-Sleeve-based payment solution which can work on any mobile phone without internet connectivity and can even make a feature phone act like a smartphone. The application runs on a wafer-thin sticker which can be stuck on any type of SIM card of any telecom service provider. A SIM Tool Kit (STK)-based app will be installed on the customer's phone, through which the consumer can perform most banking transactions, using a patented encrypted SMS technology to communicate with our servers. We see this technology being adopted by customers of co-operative banks. What kind of work are you doing with blockchain technology? We are probably the first bank in India to implement blockchain solution for supply chain financing. The earlier process involved invoice acceptance and payment to vendors within 90 days. The vendors then apply for financing with their respective banks to process this order. The to and fro of invoices, paperwork and the subsequent paper trail was a time-consuming process involving rigorous due diligence and, hence, needed an innovative intervention. So, as an experiment, we introduced the blockchain for vendor financing with Bajaj Electricals. Now their vendors and us would be part of the same platform and access real-time information on financing. This has resulted in big improvements in process speed and productivity. Apart from the reduction in transaction time from almost four days to near real time, the application of blockchain benefits everyone by making information readily available and accessible to all parties online. It is a secure and tamper-proof mode of transaction and an entirely transparent process while maintaining a secure audit trail. We are now exploring more blockchain use cases like testing use of smart contracts leading to self-executable contracts transforming the age-old letter of credit or streamlining and shortening the trade finance process without much intermediary intervention or KYC (know your customer) processing, etc. As a chief information officer, when and how do you see the challenge of calculating the return on investment (ROI) on these bets? I see the investments in IT (infotech) in two folds; one to run the bank and second to grow the bank. As we are growing at the fastest rate, it is critical for us to not only plan for our core IT application upgrades to handle our growing needs efficiently but also invest in new technologies to fast-track our business. As for ROI for future tech investments, it has been built on adoption first and value later. With the advent of IaaS, PaaS and SaaS (infrastructure, product and software as a service) business models, the upfront capital investments have reduced and, hence, better RoIs are being projected currently. However, most organisations are still to reach the optimal state of post-go-live reviews to capture effective RoI and it is still done on a case-to-case basis. Also, technology teams have smaller investment cycles due to ever-changing technologies, which have further put pressures on the smaller cycles of RoIs for business teams. Typically, RoIs for large transformation programmes were after 24 months, which have now been crunched within 12-15 months. In the near term, that is one- to three-year horizon; I am sure the ROI will come from our investments in our core IT applications, but in the long-term horizon of five years, ROI will come from our efforts in and focus on new technologies. Has your headcount stayed the same or reduced due to the use of new technologies? What has been the investment in terms of human expertise and expenditure for the bank in deploying new technologies? The most effective of these are RPA, virtual agents, computer-vision technologies like Intelligent Character Recognition/Optical Character Recognition, which have been further improved with machine-learning algorithms; some of the standard jobs like data-entry operators will be realigned with resources focusing on new technologies like data science and direct sales. Some new roles are also created as part of this for transformation like digital product manager or for platforms like personalisation. Apart from significant investments, we are also focusing on building the workforce of the future, which includes upskilling of critical top management, and realignment of operational roles into sales functions, among others.